Strip of sand with promenade fringed by beach huts, very popular with locals and a base for windsurfing, sailing and kitesurfing. Winner of a 2006 Rural Beach Award for the first time. Where is it? 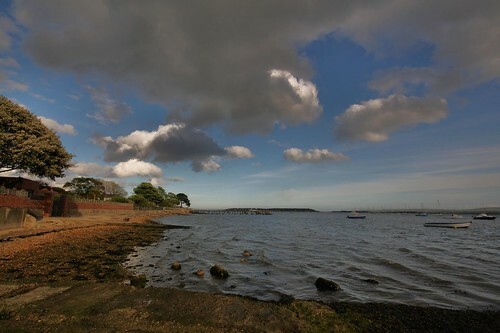 At Hamworthy Park off Lulworth Avenue, just over half a mile from Poole Quay. Best features: Attractive harbourside park set in 26 acres with panoramic views of Poole Harbour and the Purbeck Hills, established gardens with Mediterranean shrubs and planting. Local facilities and shops: The Hamworthy Bay Cafe, shops on nearby Blandford Road. Great for the kids? Has Poole’s only children’s paddling pool, a large grassed area, a playground suitable for three-to 12-year-olds and a tennis court. How far are the loos? There are loos for men and women in the park. Parking: Adjacent free parking for 40 cars, also parking on the road. Public transport: Train station at Hamworthy. Wilts and Dorset service 152 every hour daily until September, or service 9 every 15 minutes Monday to Saturday, every half hour on Sundays. How about pets? Dogs allowed all year. The Lighthouse Poole’s refurbished arts centre opposite Poole bus station has a cafe, bar, cinema, concert halls and gallery. Various plays throughout the year. 01202 685222. Dolphin Shopping Centre Next door to Poole bus station. More than 100 shops all undercover and including the central library, sports centre and cafes and with parking attached. Open all week.